Whether you love or hate them, it is crystal clear that snakes are the most impressive reptile species. They have existed for millions of years and witnessed the most ancient civilizations in the world. For many mythologies, snakes were a major icon; they were seen as familiar and exotic creatures especially with their facial features (sleepless eyes and unusual tongue) and their mysterious behavior. Snakes have been used as powerful symbols of healing and transformation such as in medicine and pharmacy; and also as a strong symbol of religion like in Hindu, Buddhism, and ancient Egypt. No animal in history has been more worshipped yet more despised than the snake. 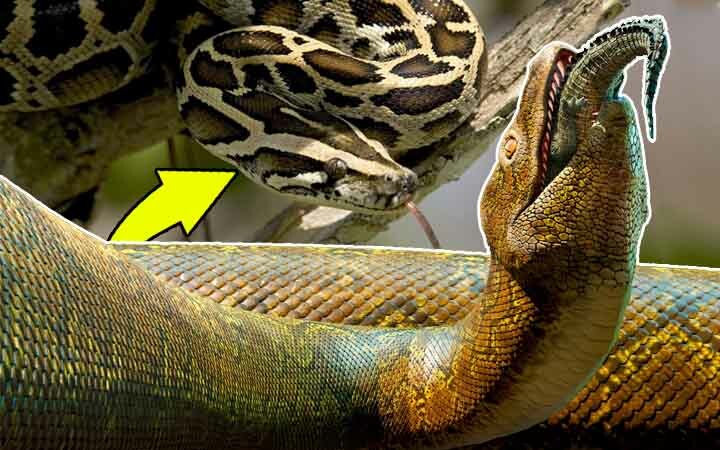 However, in recent years we have witnessed a different image of snakes since they are portrayed in movies as magnified creatures, the thing that makes us wonder whether such animals exist in reality or not?